If you are exhibiting at an upcoming convention, you need to know the importance of trade show booth lights and exhibit banners. The two go hand in hand for having a truly successful trade show experience. Lighting is often overlooked but should always be considered before finalizing your exhibit design. 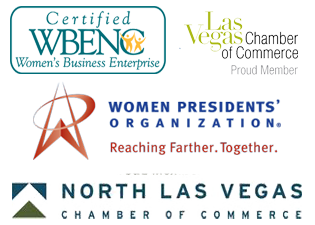 The following tips and suggestions cover different ways to make your business, products, and services stand out at trade shows. When the competition is fierce, you need to have all your bases covered. The right trade show booth lights will help you meet your exhibit objectives. There is not a single lighting type that is perfect in every situation, a customized lighting plan is necessary so that you get the atmosphere and the effects that you need in order to meet the objectives that you have set for the event. This may be fluorescent, track, or another lighting type instead. 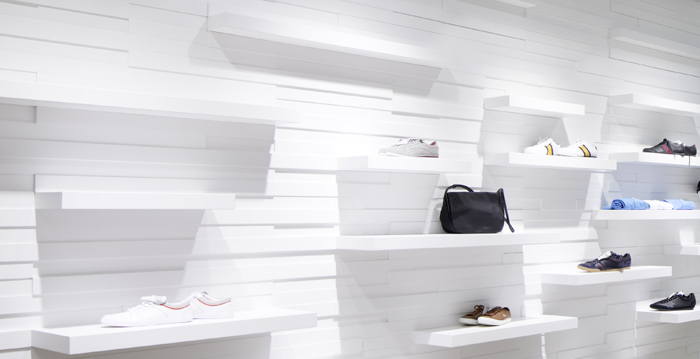 The right lighting choice can make even the smallest booth seem large, and may compliment your products and materials instead of detracting from them. From our article, 20 Trade Show Exhibit Design Tips and Secrets. Read the complete article here. When you design exhibit banners remember that these are viewed as an extension of your company and brand, and they will reflect on you. Consistency between these materials and the printed literature that you offer is important. Use the same colors, fonts, and messages across all of your marketing items for the best results. Start by creating a clear identity of what your brand stands for that you will apply across all your products, even if the products are vastly different. Most booths will benefit from trade show booth lights that are bright while offering a sense of warmth to your area at the same time. You don’t want visitors to feel like they are in a police interrogation room but you want plenty of lighting so that they can see your products and materials clearly and there are no dark areas that pose a safety hazard. Pay close attention to where shadows fall and make sure those areas are effectively lit. Once your exhibit is set up, you need to carefully analyze the lighting and make any necessary adjustments. It is essential that you carefully consider the size of the exhibit banners that you use. These will have a bigger impact if they are larger in size, but your display also needs to be tasteful and to pair well with the size of your other display items and exhibits. These marketing items can help create excitement about your display and attract crowds when they are properly sized. You may want to use trade show booth lights that offer a spotlight feature in order to highlight certain products or booth areas. This technique can help you set bestselling products or your newest offerings apart from the rest of your display. This type of lighting can place the focus where you want it and attract the eye quickly. Spotlights come in several different styles and sizes that include: overhead, freestanding, pole-mounted, and post-mounted. When it comes to your exhibit banners in many cases less is more. Too often companies try to fill in every inch of the banner with text and images, and this gives a crowded appearance that is not attractive or reassuring. Try to use few words and a few carefully chosen graphics instead of adding everything that will fit. Your banner will be cleaner as a result. Try to choose trade show booth lights that flatter people as well as your products and marketing items. You do not want lighting choices that could give your staff a washed out or tired appearance. There are light options that can help flatter your staff and still keep the priority on your products or services at the same time. Soft lighting is flattering to people; hard light is good for objects and architecture, for telling the drama of a space. From Alexandria Abramian Mott’s article in the Los Angeles Times. Be sure to include colorful graphics in your exhibit banners. Limiting yourself to text could cause your display to lose appeal. Color draws the eye and will be noticed much faster, and colorful images can be very compelling for visitors. You want to create interest in your exhibit and this is not usually possible with text only or black and white banners. Add some trade show booth lights in unexpected areas. If you have kiosks in your display then adding a few clamp on lights or LED lighting strips can provide much needed illumination. This is not limited to kiosks either, you can add all the light that you want or need in any area of your booth. This can add accents and appealing effects where you want them. It is usually a good idea to avoid trade show booth lights that have color but this is not always the case. Sometimes a splash of colored lighting can draw attention to an item in a favorable way, and if your goal is attracting young adults then sometimes flashing colored lights may help you reach this objective better. Think about any special needs that your targeted demographics have when you are choosing trade show booth lights. Older visitors may need more lights due to their age and eyesight, while younger visitors may find flashing lights and colorful versions appealing and engaging. When you take the needs and preferences of your targeted groups into consideration you will do better. Because contrast sensitivity often declines with age, enhancing the contrast on relevant objects allows a person to recognize and distinguish edges. Use both upper and lower case text in your exhibit banners, and include different types of trade show booth lights. These combinations will help ensure that you get the best possible results. 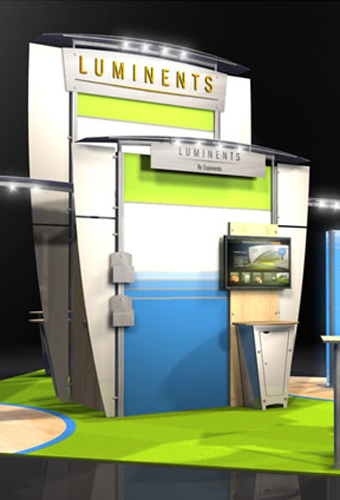 What types of trade show booth lights have you used in your exhibits and why?